Smoking tobacco products, including pipes and cigars, can also lead to chronic bad breath and severe tooth staining. These problems add to the health issues caused by tobacco, prompting many people to finally kick the habit by switching to alternatives to traditional tobacco products. But is “kicking the habit” by switching to e-cigarettes really enough? Two new studies – one conducted by researchers at the University of Rochester School of Medicine and Dentistry in New York, the other at the Faculty of Dental Medicine at Université Laval in Canada – have found that e-cigarettes are just as bad for oral health as their traditional counterparts. They may even be worse when it comes to gum recession and oral tissue cell death. In fact, during the Canadian study, participants who regularly used e-cigarettes were found to experience 53% more gum tissue cell damage and death than those who did not use electronic cigarettes. 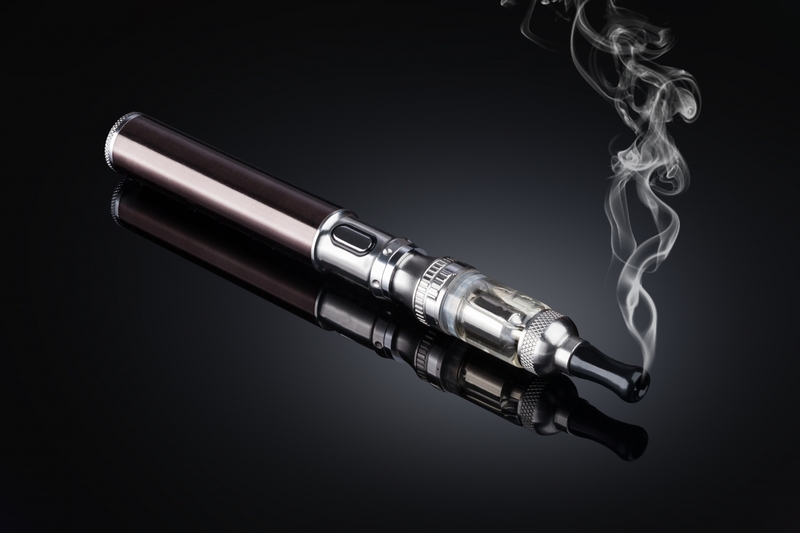 The rate of cell death was highest amongst users who preferred flavored nicotine vapor in the e-cigarette cartridges. The truth of the matter is, no matter what product you are using to deliver nicotine, that product is harming your teeth and gums. The only way to prevent further damage is to give the drug up entirely. During your next visit to our Aurora dental office, we can discuss smoking cessation in greater detail and help you find resources that can assist in your effort. If your tobacco use has resulted in tooth loss, our Aurora dentists can also discuss replacement options including cosmetic life-like dentures and dental implants. These services will also be discussed if tooth damage is severe enough to warrant extraction. To learn more about how our dentists can help protect and perfect your smile after you quit smoking, please contact Aspenwood Dental Associates today. Located in Aurora, we welcome patients from all Metro Denver communities.